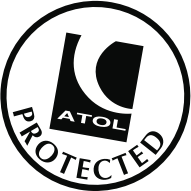 A great range of MSC Orchestra reviews written by our customers. To write your own MSC Orchestra review click the link on the right. Summary: Initially we chose this cruise to fit in with holiday availability of family members - and certainly had some trepidation given some of the reviews. We need not have worried. 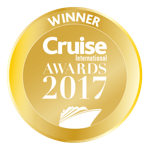 Simply put this was a great cruise - if you are looking for a Mediterranean style cruise in the Med. If you are looking for a British cruise experience in the Med, then you will no doubt be critical, but this is not P&O nor Cunard....it is MSC, and it suited us perfectly. We wanted Mediterranean food on board - and that is what we got - pasta, risotto, pizza and plenty of other choice. 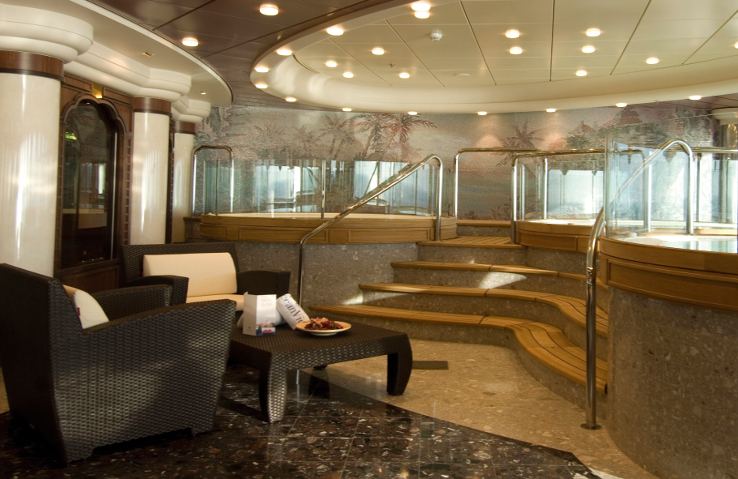 We had a Suite Cabin, on Deck 15, top accommodation level, with Aurea experience, providing reserved sun deck area over two decks outside and above the cabin. The Aurea experience meant we ate in the Ibiscus restaurant on anytime dining, where the staff were excellent - Maria and Pante ensuring we were warmly welcomed and looked after. The evening meals might appear to some as being somewhat small in quantity, but it was good and tasty, though not always as hot as we might normally expect (but I always reflect that in Masterchef the food is always served and tasted cold:)) Breakfast was fun.... a bit of a bun fight in terms of finding somewhere to sit in the buffet, but the food was good, varied plentiful. The main sundeck was a family oriented affair, with plenty of loungers, small pools, and Jacuzzis, with entertainment almost non-stop - with music always on... very Mediterranean, it was bustling and noisy - may not be to everyone's taste - but we had the refuge of the Aurea reserved areas so did not avail ourselves of this, seemingly madhouse. Service was always attentive, and polite, more so than I perhaps expected. Good drinks, with our package giving us free non-premium drinks, which were quite plentiful, and varied. Prices for premium was ok. If you are expecting P&O style entertainment then you will be disappointed - but what we say was good - an abridged song & dance version based on Grease. Good fun. All announcements are made in a multitude of languages - and the obligatory safety drill was well done, as was the disembarkation briefing. There were no Captain's updates that we heard, but there were almost daily crew exercises that could be quite noisy in terms of tannoy volume. TV - didn't use it other than checking the bill - but understand it has limited choice if you are expecting British entertainment - but hey we were on holiday and not wanting to watch TV. Food was available in the buffet 20 hours a day - and good it was too - particularly a late night Pizza slice... great pizza with good choice. Evening meals don't start until 7pm in the formal restaurants - reflecting the Mediterranean style of not eating until later than we are used to in the UK. For cabin review see below. Itinerary was great - we board at Rome, and enjoyed all our ports of call - where we had plenty of time. Tender was done well at Cannes. We enjoyed a complimentary Balinese massage as part of the Aurea experience, which was fine, and we also enjoyed the Sauna/Steam Rooms - though the inside Jacuzzi was a bit cool for indoors.... 37C. Note that smoking is permitted in more places than you might normally expect on P&O cruise - part of the Casino, a Cigar Room, and also part of the sun deck - one half of one side. There were plenty of bars, some quite gaudy, which we enjoyed rather than dull greys. 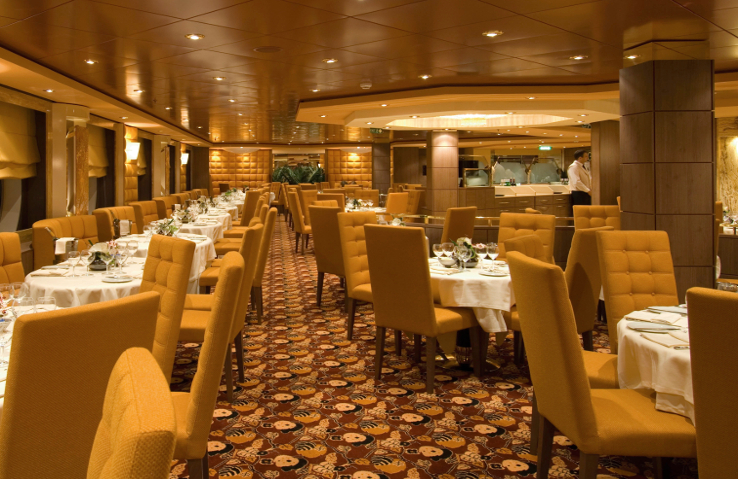 If anything I would say that the restaurant choice was somewhat limited compared to other cruise experiences, particularly given the number of passengers - there was one speciality Asian restaurant - which we did not try. Other than that you are in your main restaurant, and the buffet. Formal nights - there were two - were remarkably informal - I think I saw one dinner suit. Certainly most people dressed smarter, but not DJs and tuxes... that suited us.. (excuse the pun...) There was very little hard selling - sure they took your photo, but no hassle. Overall the ship was a very happy ship - with a much broader mix of people - plenty of childen, younger couples, and actually fewer older people than say compared to a P&O cruise. In summary - we would definitely cruise with MSC again - we saw their new ship Megaviglia moored next to us at Genoa - wow it looked fantastic. A happy cruise line, unpretentious, and easy to like, particularly if you are want to relax and not worry about formality. We would look to the Aurea experience as a minimum, just so we could have some quiet/privacy outside of the cabin on the sun decks. We were a family of four - including our two adult children who had an identical cabin three doors away. Summary: First of all the service by Iglu Cruise was superb. 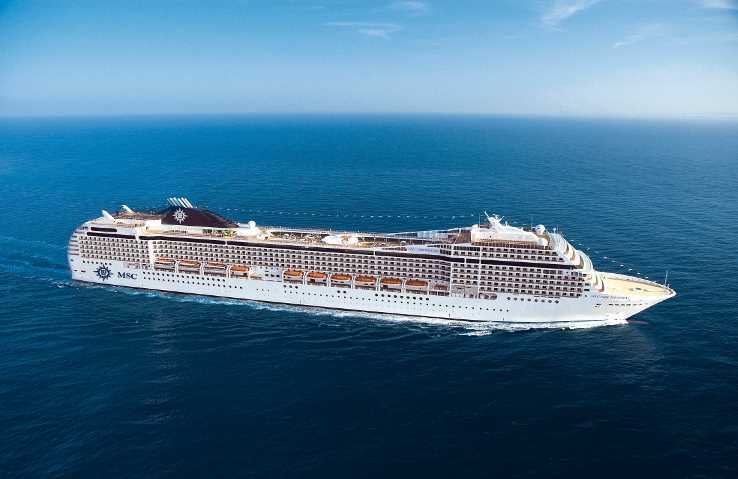 As for the MSC ship Orchestra I have the following to say: The berth was the best I have had (a balcony) it was well decorated and well designed for maximum room. 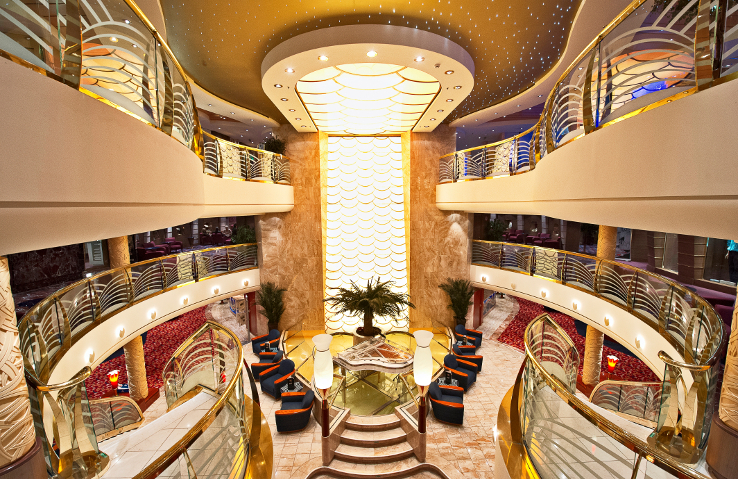 The whole ship was in good decorative order. Not too keen on the entertainment,but then it was geared towards the Italians. The ports of call were outstanding - yet again one of the best trips I have been on. The only detrimental aspect was the food and times of serving - it was very limited, especially if you went ashore - everything shut by the time you got back to the ship - except for pizza - and the so called evening snacks only consisted of thick bread rolls and sandwiches, which were not very inspiring. I couldn't believe that an Italian Ship couldn't cook decent pasta. The restaurants were very strict on eating times and actually shut the doors so if you were late you could not enter. It was a bit like being at boarding school. The standard of food in the Restaurants was not very good. Summary: Transfer from Dubai airport was well organised and speedy even at the port prior to embarkation. There were unique entertainers in the terminal building on penny farthing bikes etc while we were waiting, very impressive. Once we had our boarding/cabin cards we then had full use of the ship until our cabin was ready at 12 noon although our cases didn't arrive until after 3pm. MSC did advise pack a day bag with swimwear etc which was a great piece of advice so our holiday did begin the minute we boarded the ship. One negative (but understandable) is the safety drill before we sailed wasn't until 11.15pm after all passengers were on board. The problem for us is we had an overnight flight which got us into Dubai at around 7 am so didn't get to bed until after the safety drill. It could have been done much quicker if everyone attended (we had to wait until all passengers were there and they swipe your cabin card to know who isn't!!) Next time we would definitely either change the flight time out to Dubai or stay in a hotel overnight the day before the cruise commenced and possibly do the same on the return. Emirates had our seats booked together fine on the outbound journey but they tried to seat me and my husband on separate rows about 3 apart on the inbound flight. I was told we should have checked in online to secure seats together. I reminded them that Iglu cruises had told me they 'block book' seats so we always sit together. She then found us seats ok. (I did try to choose our seats before we flew out but if you book through an agent apparently you can't, the agent has seats already secured for you). The ship itself had everything we needed, maybe not as 'boutique' as some but it has a 'glitzy' charm all of its own and run by very friendly, accommodating staff. The Animation Team were great, worked so hard and the daily programme was fun and entertaining. The show at night time was very professional in a beautiful theatre, the sound, lighting, singing, dancing and acrobatics (very Cirque du Solei) was amazing, they did a great job, very professional! 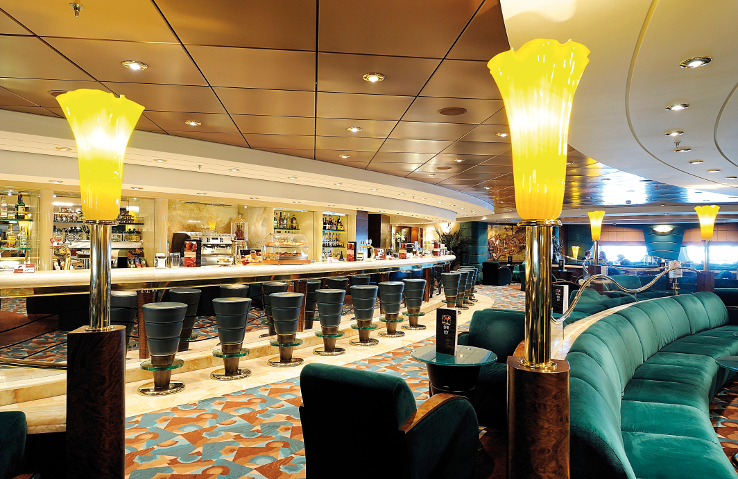 Nearly all the bars had live entertainment each night with themed party nights on top deck/savannah bar each night. Standard of drinks was excellent. Definitely take out the drinks package for all Inclusive drinks 24 hrs a day, cost us £24 a day, well worth it, even taking into account all the soft drinks and coffee/ice cream of a day, it also included the Cichetta (Italian tapas) in the wine Bar, Prosecco was a good one too! Cocktails very good too! Restaurant food and service again, brilliant, our waiter Widi in Ibiscus restaurant was exceptional. Food choice and standard again really good. Buffet had all you could want and the choice was very good. Pizzeria was open 24 hrs. It could get very busy especially at breakfast prior to tours commencing. We had to upgrade to use the Ibiscus Restaurant and beware about sittings. Iglu staff told us if we were on the 6.30 sitting it would be ok to go in at around 7.30 ( as long as we were there before 8.30).NOT SO - they close the doors 15 mins after 6.30. We changed to the 9pm sitting which really is too late for us but MSC does not do Freedom Dining which we prefer. The initial price of our outside cabin was £699 but with the restaurant upgrade we paid around £845 so make sure you upgrade otherwise you will have to eat all your meals in the buffet restaurant. We went into the Ibiscus one morning for breakfast, very civilised and served quickly too (depends on how many people are in I guess) All public areas were kept clean and today, the brass was polished daily and the toilets very clean. Cabin was clean, beds comfy with nice pillows, bathroom quite spacious although shower a bit small but we were ok, lots of wardrobe/drawer space, nice and bright. We were on deck 5 (Reception Deck where the atrium bar is with pianist/violinist) but you could not hear any noise at night, cabin was quiet. Tours were well organised and guides informative. We loved the 'family' approach to the ship, the Captain met us all on the first gala night and his staff were introduced to us. The captain even presented Employee of the Month on stage, he seemed genuinely concerned that we were enjoying our cruise and had all we needed and appreciated our custom. He was there again to say goodbye on the last gala night and to thank us for cruising with MSC, a lovely personal touch we thought. Most people did dress up and we did see a few tuxedos so I would wear whatever you want, I think the destination of the United Arab Emirates has a different appeal to perhaps the Mediterranean cruises, so be a smart as you wish! However, some passengers didn't make much effort at all! Lots of sunbeds on deck but very close together. They have attached sun shades which can get in the way of 'your sun' when people have them 'up' but not using them. Maybe lower them when you don't need shade, so you don't 'shade' the person next to you! The people we met also made our cruise a great experience so thanks to Linda and Tony! Linda and George! Kieron and John, we've never laughed so much, it was great to meet you all! 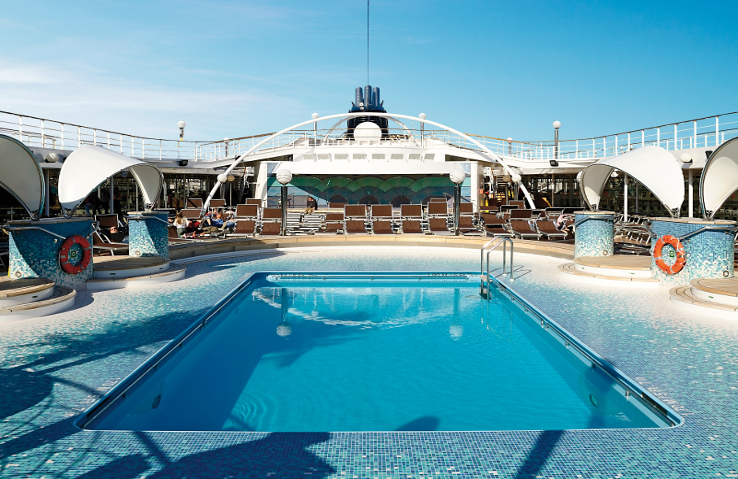 Fancy another MSC cruise? Summary: Just returned from a week around the Emirates, starting in Dubai. It was a fabulous cruise, we had no complaints. Cabin was good very clean and well looked after. The ship itself is beautiful, loads if bar/ lounges and staff very polite.Very lively during the day and at nite. Music everywhere, people enjoying themselves and dancing. A real mix of ages. Entertainment and shows are very good and professional. Two formal nites again mix of dress from formal dinner suites/ long dresses to the odd person in jeans, trainer's / flip flops. Restaurants are very nice and good service.The food is adequate, but I would give the buffet a miss. Its true the Italians are very loud, and some passengers don't have great manners but has to be put in perspective and really not that bad. Great value for money cruise, lots going on, interesting ports. Lastly the drinks premium package was well worth the money. Will certainly travel with MSC again. Summary: Really good cruise, good ship which with a bit of effort could be a great ship. Our real complaints where waiting times to get back on the ship at ports and waiting time in the dinning room we just went first night and that was enough we know its not realistic to judge on the first night. It was enough to send us to the upstairs for the rest of the trip and we are glad we did it was excellent. All in all a good well run ship and spotlessly clean. Summary: Rather a large ship and going from one place to another was at times very confusing. If the lifts are given numbers, I am sure it will be a great help to passengers to know which lift goes only to dinning area and which to ther cabins, choice of food was excellent, the crew and staff were very very helpful and efficient, had a lovely time. Summary: This is a fine ship, quite pristine and clean. 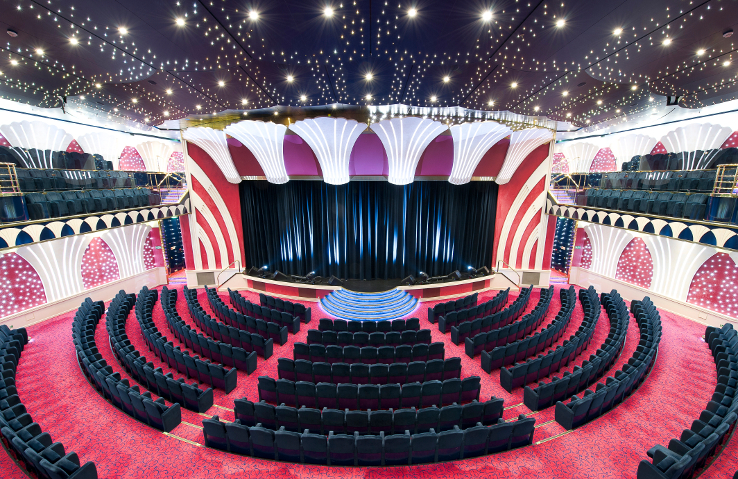 However, the entertainment that we have become used to on other cruises was almost totally missing. Every evening there was a display put on by the resident dancers which was really only a variation on the previous night's effort. It was obvious that we were expected to sit in one of the numerous bars and buy drinks at high prices while listening to poor quality singers. There was no cinema and no films on the television so we spent hours watching Euronews and reading. You could buy films but the whole ship was geared to taking money off you. There was no spending money in the way that others have and the shops sold very expensive items. The majority of people were Germans with a splattering of other nationalities so towels were always scattered on the sun loungers even before breakfast. The trips arranged by the ship were very expensive and we even lost the last one in Greece because of a rough sea for disembarking, the ship then returned to Venice at a slow speed to overcome the seven hours we would have had in Gythion, thus saving a large amount of fuel with us the losers. The real reason that we went on this holiday was to go to the Black Sea resorts that we would not have seen otherwise, however, they were not really worth seeing. If we go on another cruise, it will probably be on Royal Caribbean or similar to alleviate the boredom. Summary: This was our second trip with MSC Cruises. It was not the best cruise we have ever had but then again it was not the worst. The ship itself is nicely laid our, the public areas and bars are comfortable, spotlessly clean and a pleasure to be in, and seating is plentiful. We had a balcony cabin on Deck 9 which we were extremely pleased with, it was large compared to some ships we have been on and the same goes for the bathroom. Dining on the boat could be taken in one of the two main restaurants, the buffet restaurant or the specialised restaurant called Shanghai Asian Fusions for an extra cost. Dining in the two main restaurants is ok, the portions aren't large but there are six courses. The variety in the buffet restaurant, particularly at lunchtime, not so much in the evening is very extensive, one of the best we have ever come across, the only negative note is that much of it is only luke warm and sometimes cold. Seating is ok but can be a bit manic at breakfast time. 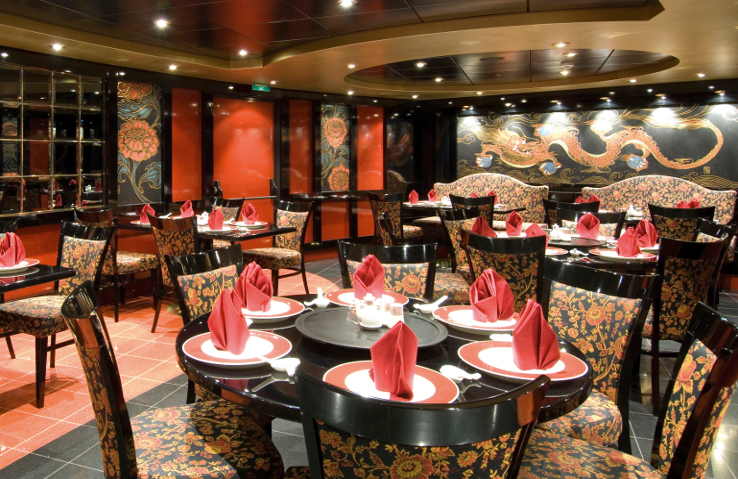 The food in the Shanghai Restaurant was far too salty for our liking and spoilt the meal, however other people we spoke to on the ship loved it, so you pay your money and takes your choice. The biggest disappointment for us was the entertainment. The evening shows lasted for about 30 minutes and every evening consisted of two female and one male singer, a dozen or so dancers and for some inexplicable reason two ballroom dancers, with an odd smattering of so called acrobats, very poor in our opinion. The music in the bars was not that much better with pretty much the same music everywhere and little variety, it all probably reflects the personality of the Cruise Director who liked the sound of his own voice. Daytime activities left a lot to be desired, yet again little imagination unless you are into ballroom dancing, there were several lessons a day in virtually every dance you can think of, not really our cup of tea. Finally the pricing structure. A service charge of 6 Euros per day per person is levied. I have no objection to this and think it is very reasonable, what I don't like is the 15% service charge on every order at the bar, which is on top of already highly priced drinks, I think its extortionate. Would we use MSC again, probably not unless we got a deal which was too hard to refuse. Summary: Just returned from a med cruise from Genoa around the Med. Disappointed with most of it. The port organisation was awful and you just got brushed away if you asked anyone for help. Much the same on the ship. Some crew were very dismissive and ignorant. The ship itself was lovely....clean and bright but it very much lacked kindness.